Want to quickly and easily make an Ark Survival Evolved server on your computer ? This tutorial was created especially for you, be sure you are using Windows 7, 8.1 or 10 64-bit. Follow the next steps, it will not take you more than 8 minutes. 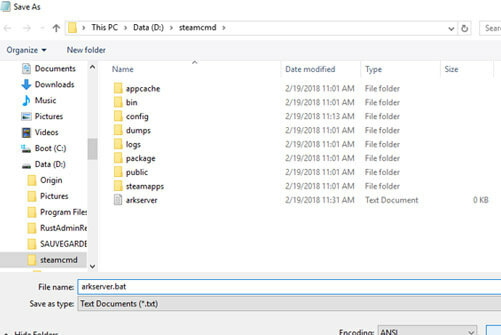 Save the file as "arkserver.bat"
Start the server installation by double clicking on the file arkserver.bat, a window is displayed, a message tells you that you have received a code by mail from Steam. Check your mails and enter the code in the window and press the ENTER. The server files are being downloaded. 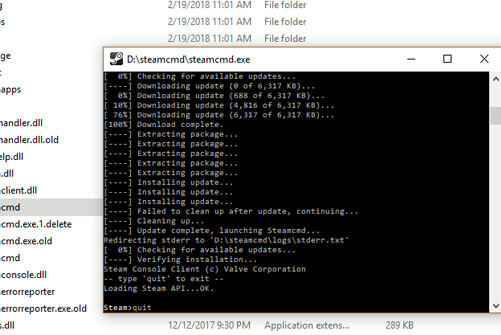 The arkserver folder has just been created in your steamcmd folder. 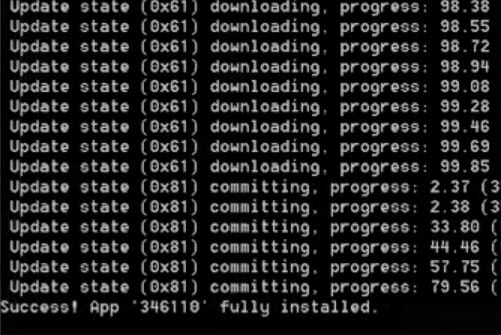 Replace YourServerName with the name of your server and save the file. 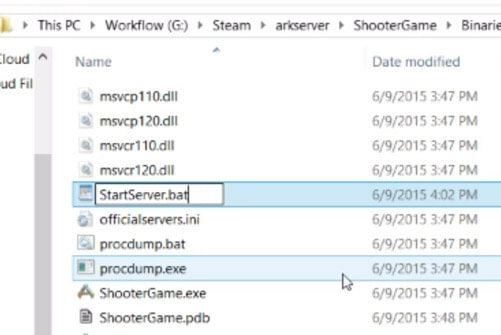 Double-click the StartServer.bat file and then click ShooterGameServer.exe to turn on your ARK server. 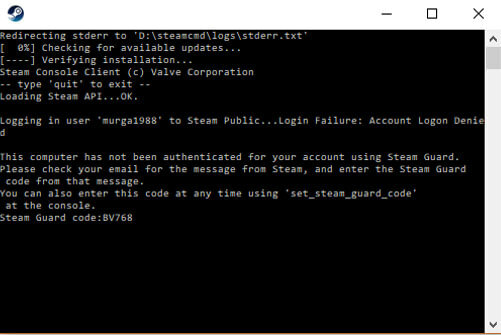 You can now modify the server settings in steamcmd/arkserver/ShooterGame/Saved/Config/WindowsServer/GameUserSettings.ini file by adding the following lines to the end of the file. Press Tab, or whatever you have bound your console key to and type this following command to logging in as admin. Congratulations, you have created a local Ark:SE server on your computer ! If you want to make it public and play with friends you must open ports 27015, 27016 and 27017 of your router with the TCP and UDP protocol. See https://www.trackyserver.com/listing/port-forwarding for more informations. Hosting an Ark server requires a lot of resources to your computer, especially if your server has more than 10 players. If you want a public server with many slots, we advise you to rent an Ark server from a professional host such as Gameserver (see link to our footer). That your server works is good, but it is even better if it is full of players ! Please note that we are specialized in ranking Ark servers and you can register yours for free on our Ark servers list. In ARK Survival Evolved players must survive in a world populated by dinosaurs and hostile human players. The player must level up to evolve and get better equipment.